warning: Creating default object from empty value in /home/toymania/public_html/modules/taxonomy/taxonomy.pages.inc on line 33. 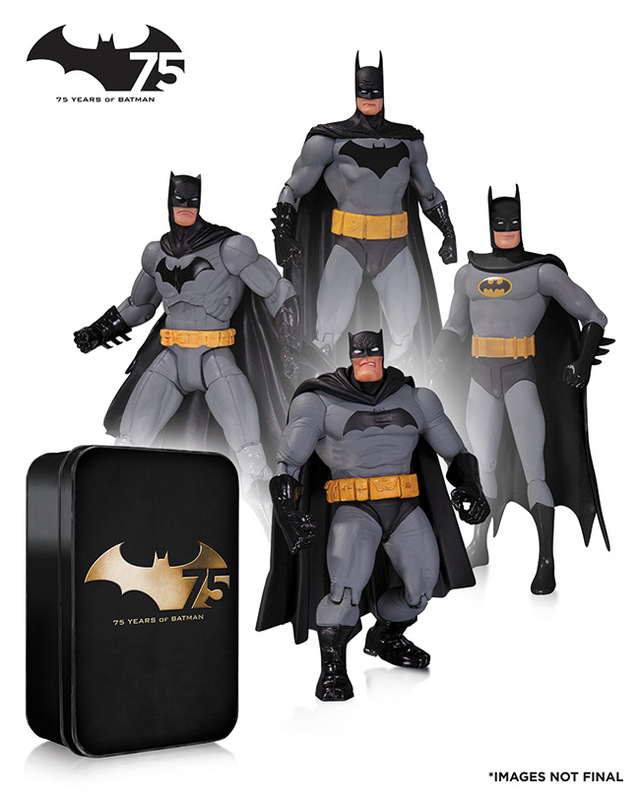 This special edition action figure 4-pack celebrates Batman's 75th Anniversary-with figures of the legendary Dark Knight based on the designs of Greg Capullo, Alex Ross, Frank Miller and his look in Super Friends! Each figure come packaged in a special anniversary tin! DARK KNIGHT RETURNS BY FRANK MILLER - 6.5"
JUSTICE BY ALEX ROSS - 7.5"
DESIGNER SERIES BY GREG CAPULLO - 6.75"